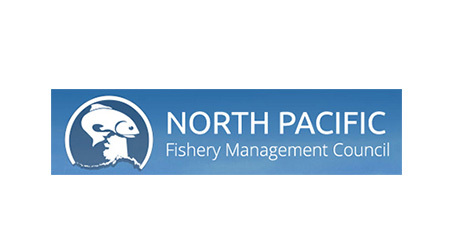 North Pacific Fishery Management Council, NPFMC – is one of eight regional councils established by the Magnuson-Stevens Fishery Conservation and Management Act to manage fisheries in the 200-mile Exclusive Economic Zone. There are three major meetings that make up a typical North Pacific Fishery Management Council meeting. The Scientific and Statistical Committee (the SSC) and the Advisory Panel (AP) take up the same agenda the Council does—they just begin two days in advance so they can provide their recommendations to the Council. The SSC is made up of scientists and economists and the AP’s membership covers a variety of fishing industry sectors as well as conservation groups. Representatives on the SSC, Council, and AP are from Oregon, Washington, and Alaska. NPFMC has developed a guide for the variety of people who want a voice in fisheries management issues. It is designed for those unfamiliar with fisheries management, as well as those who are already involved in the process, and can be used to guide you through a formal Council meeting or to get involved in management issues when there is no time to attend Council meetings. The North Pacific Fishery Management Council identifies priorities for research, over the next 1 to 5 years, as those activities that are the most important for the conservation and management of fisheries in the Gulf of Alaska, Aleutian Islands, eastern Bering Sea, and the Arctic. This listing of priorities has two purposes: to meet the requirements of the revised Magnuson-Stevens Act for the Councils to identify 5 year research needs, and to provide guidance on research priorities to the research community and funding agencies. Research priorities are organized into four categories: critical ongoing monitoring, urgent, important (near term), and strategic (future needs). These categories place less emphasis on the relative value of research topics and more emphasis on the correspondence of research to the Council’s time horizon of management concerns.